The very pleasant and fun loving Jonathan, the youngest of Biju's & Sunitha's kids. 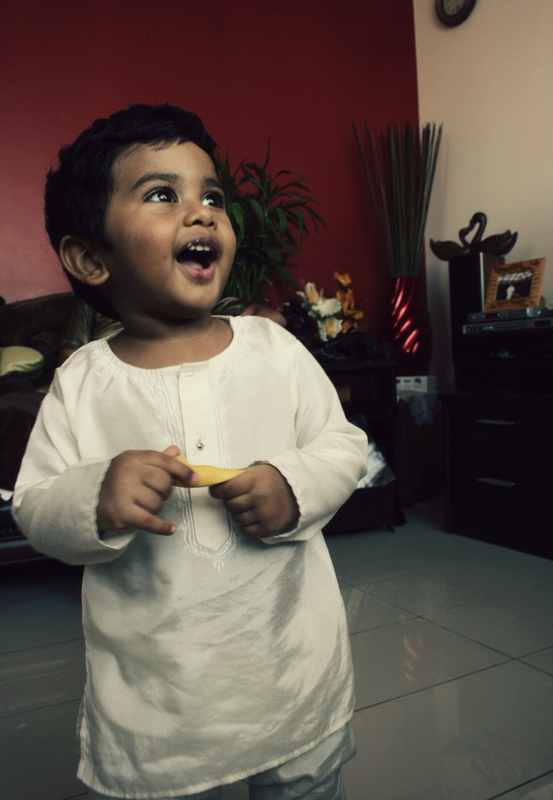 Seen here after his Onam feast at the Nibu - Shyne residence, moving towards his mom, who happened to have the rest of that banana he's holding. Bring out the biscuits ya'll, its Tea Time. Salmiya, Kuwait.